50th Birthday cake Gorien Goliath. 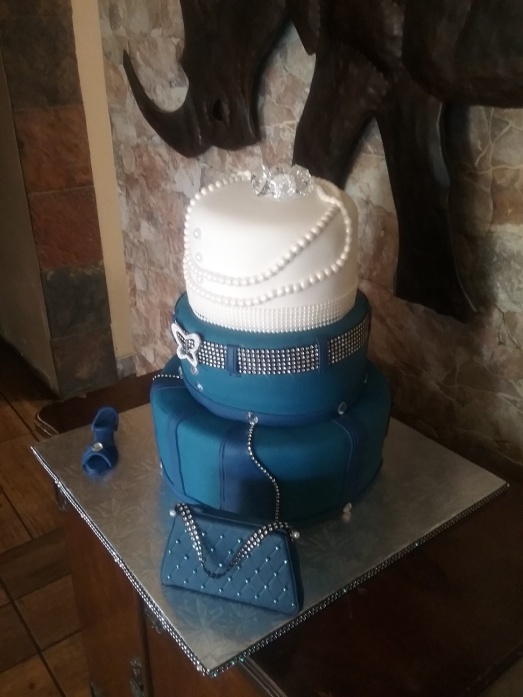 This birthday celebration had a “Denim and Diamonds” Theme, and the party was held in Johannesburg on 23rd July 2016. Cake delivered to Riverlea. Cake was a 3 tier Chocolate and Vanilla cake. I also baked 100 biscuits in the shape of a Denim Pocket. 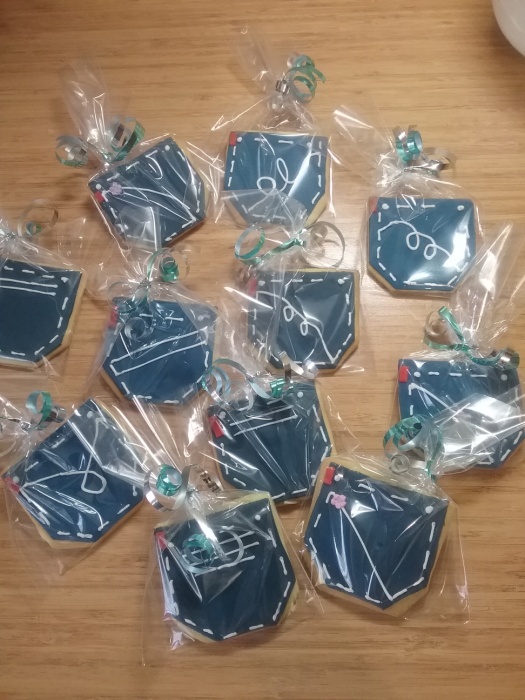 These biscuits were individually hand decorated and placed in a see through plastic sleeve and rounded off with silver and Turquoise ribbon. 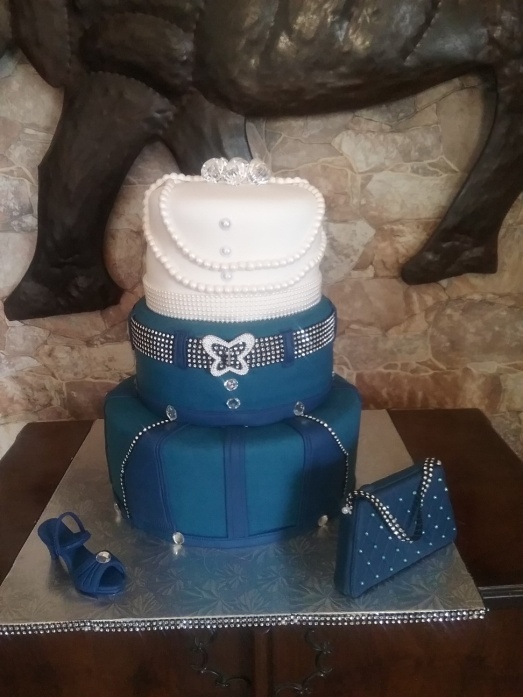 I have known Gorien for the past 6 years and have done numerous cakes for her Grand Children and Baby Shower cakes for her daughters and daughters in law. Happy 50th Gorien!